In a nutshell – 50/50. All around the world, the economic outlook has improved. There is more stability, more predictability and less volatility. However for us at home, there are still several issues weighing Singapore down. The Ministry of Trade and Industry expects growth to be about 2%, still higher than its original forecast of between 1-3% for a full year. What are the risks to the country then? The most unpredictable issues for us come from the West. US President Donald Trump’s anti-trade rhetoric. Fall out from Brexit is still uncertain, though looks tamer than expected. In the region, tighter monetary conditions in China amidst financial deleveraging can result in a pullback in credit and investment for Singapore. Trade depending on local demand is not doing well. Construction sector has shrunk 1.4% in the first three months of the year and looks set to continue contracting by another 2.8%. This is because of a slowdown in private sector building activities. 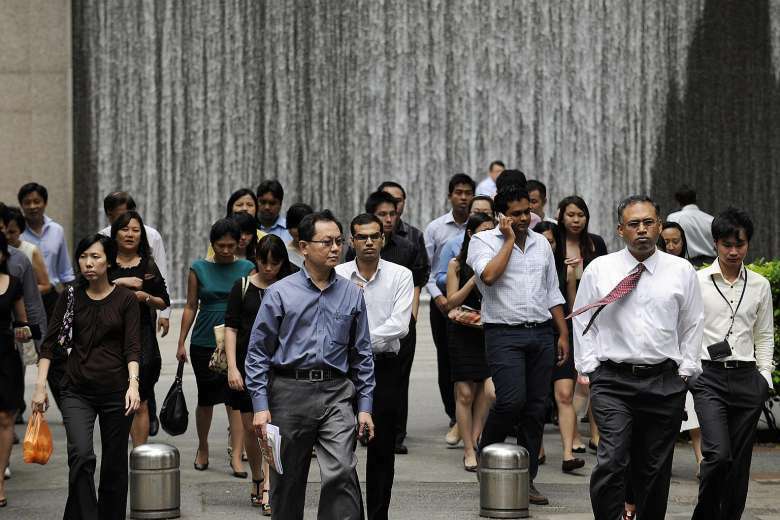 All sectors that rely on manpower, especially foreign manpower, will continue to struggle. This include many customer facing businesses such as retail and F&B. The property market is starting to look better. There is a build-up of activity and sales have been reported to improve, but it is still very early to determine of this is so. Tightening of credit and investment in China may affect local demand. It is a good thing no property developer has committed the fatal mistake of depending only on Chinese demand, such as the doomed Forest City project in Johor Bahru has. Inflation for the year is expected to come in at 0.9%. Core inflation (inflation which excludes car and property), is expected to come in unchanged at 1.5%. Unemployment rate is expected to remain at 2.4%, also unchanged. So what does this all really translate to? Don’t expect bonuses to be exciting, don’t expect big rises in salary… all in all, keep expectations moderated. The economy is still expected to do (ever so) slightly better than expected, so that means you don’t have to hit the panic button yet. Take that holiday, buy that little gift – but prudence is virtue. Jobs are disappearing for two reasons: advances in technology and an intentional effort to advance the advances in technology. Singapore cannot sustain an ever swelling number of foreign workers, there has to be some control. Businesses are doing the one thing they can do – become manpower lean, or take their setups overseas where labour is cheap and plenty. There are sectors that will be expected to do well. Information and communications, education, health and social services are all looking to be resilient and will be for the near future. So if you’re looking at an industry change, new opportunities or wondering what to re-tool your skills closet with, explore these areas. So in summary; it is not all doom and gloom. There is a lot of uncertainty in the economy, so you will want to approach that with common sense frugality and cautiousness. As always, seek new opportunities where you can and keep your skills sharp and ready.